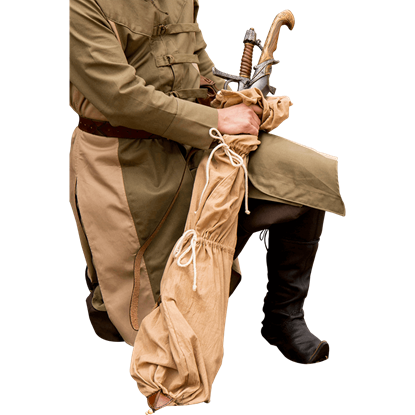 Like a fearsome 11th century Norman warrior, you battle your enemies with stalwart defiance. 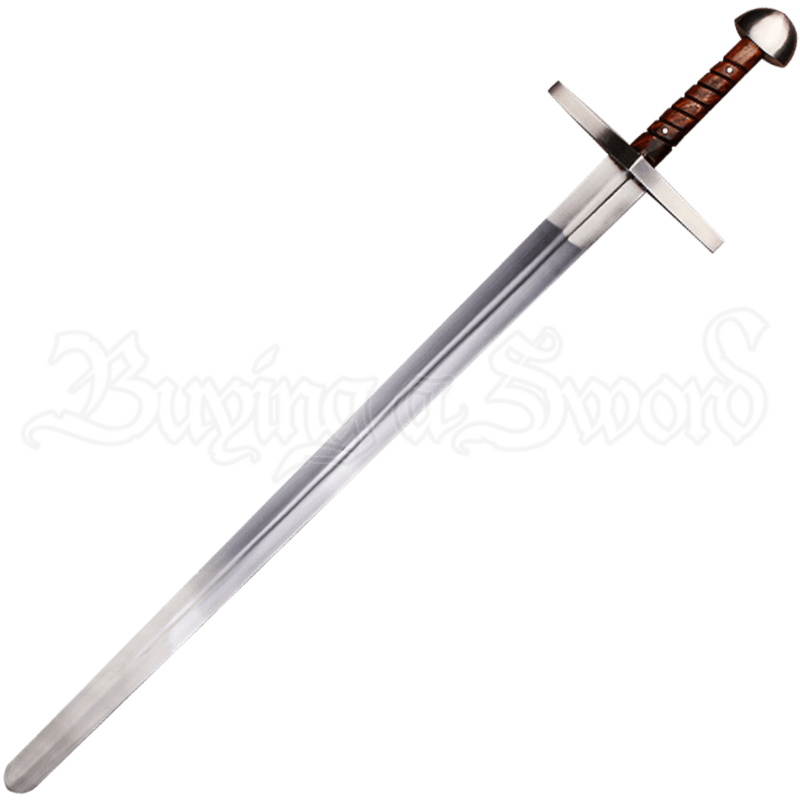 With the Balduin Stage Combat Sword in hand, your stage fight is safe without sacrificing an impressively authentic medieval appearance. 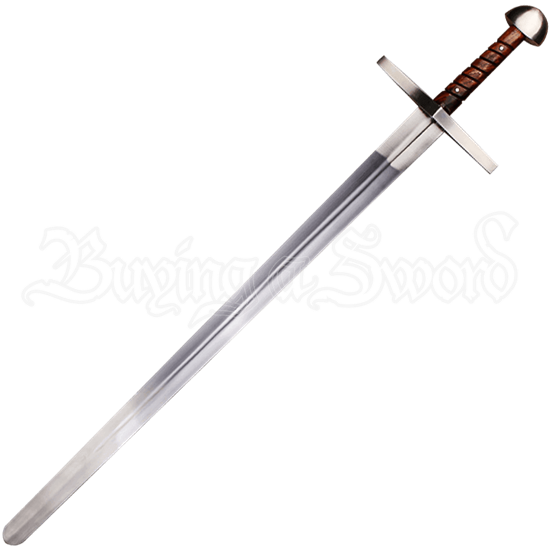 Made of high-quality spring steel, the blade of this sword has blunt edges and a rounded tip, making it a great asset to any production or performance involving realistic sword combat. 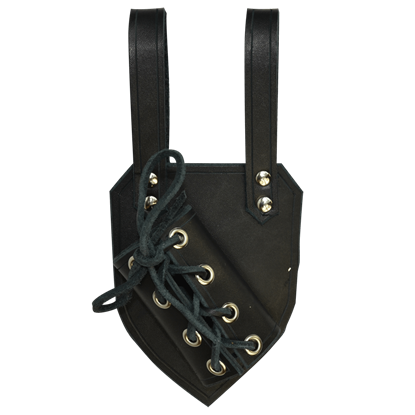 Inspired by early medieval styles, the swords ridged, wooden grip is attached to a straight cross guard and ends in a rounded pommel.  Purposefully designed for stage combat, the blade has minor notches on its length as a result of its resistance testing. 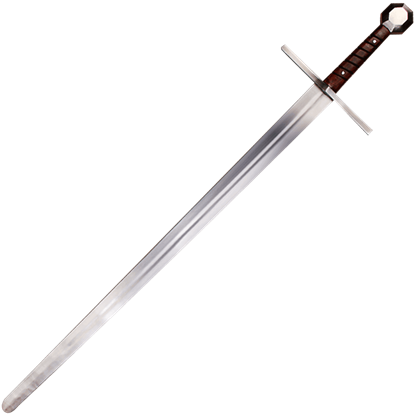 When your skirmish calls for realistic fighting without the danger of real weaponry, call upon the Balduin Stage Combat Sword.